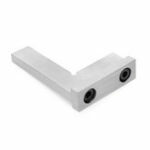 90° Right angle inside corner clamp frame welding woodworking vise clip tools. 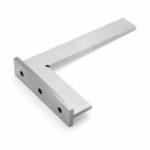 Max Jaw Open: 70mm /2.76"
- Clamp&apos;s body part is aluminum alloy die-casting construction, more durable and stronger but lighter to hold in hand. 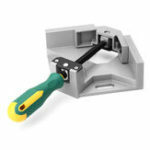 - Maximum clamping range is 70mm. 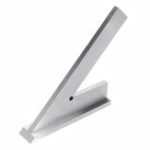 – Rotary jaw can be adjusted to align and hold work pieces precisely. 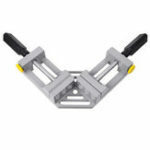 - Solid anti-skid strong rubber handle, help to sets up instantly.